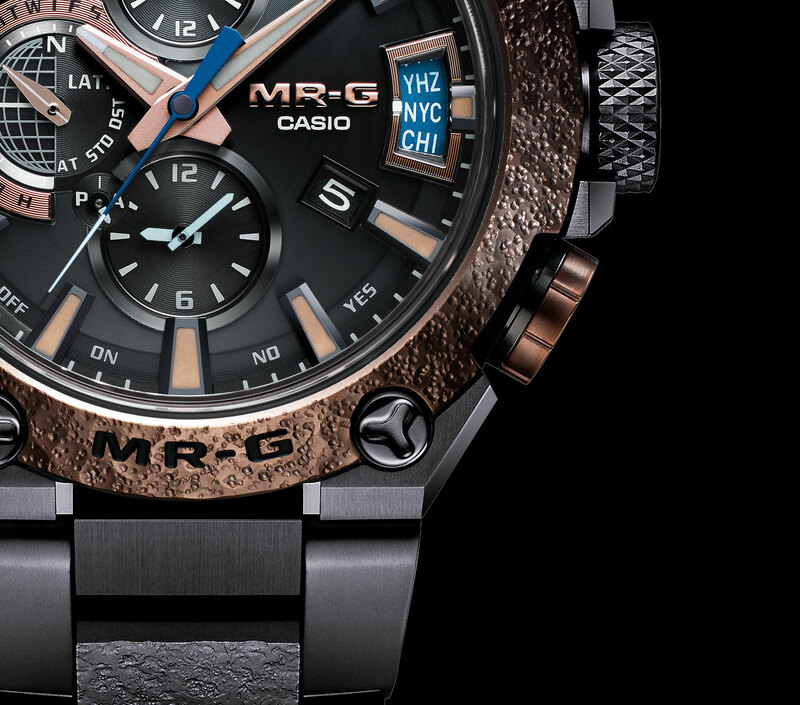 The latest MR-G, the “Hammer Tone” MRG-G2000HA, continues the hammered finish motif that’s been a favourite in the MR-G line over the past three years. It’s inspired by the distinctive surface on the hilt guard of Japanese swords, tetsu tsuba, which means “iron sword guard”. To replicate the seemingly raw, unfinished texture, Casio once again relied on the expertise of third-generation iron artisan, Asano Biho. 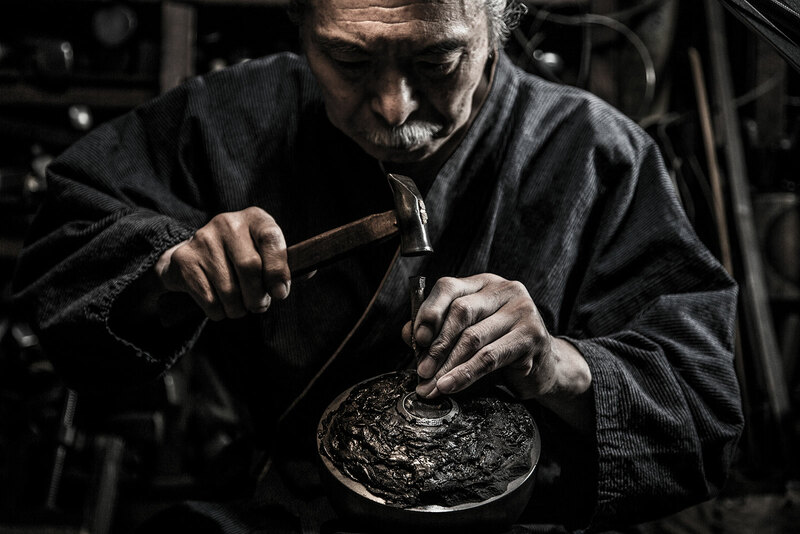 Mr Asano specialises in tsuiki, an ancient Japanese art of producing hammered copper ware, making him one of the few craftsmen allowed to restore objects classified as Important Cultural Properties by the Japanese government. 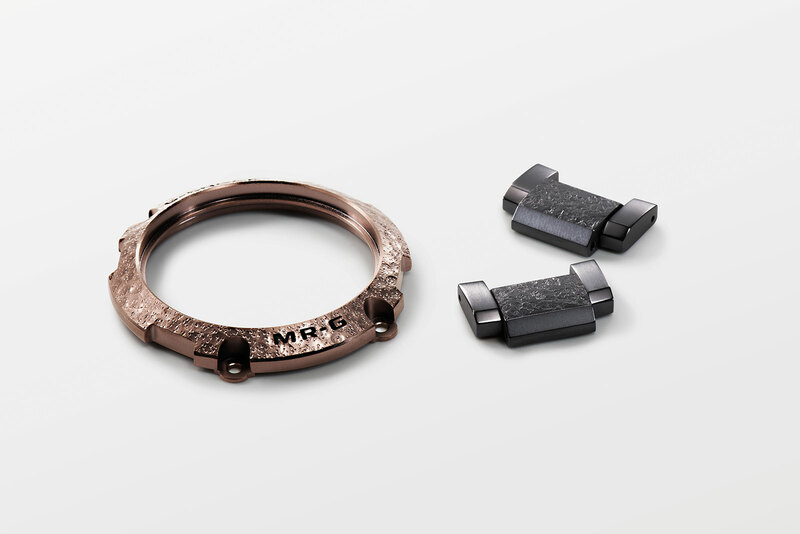 For the latest MR-G “Hammer Tone”, Mr Asano was commissioned to apply arashi-tsuchime (“rough surface hammering”) to the bezel and centrelinks of the bracelet, a similar but distinct finish from those found on the earlier editions. 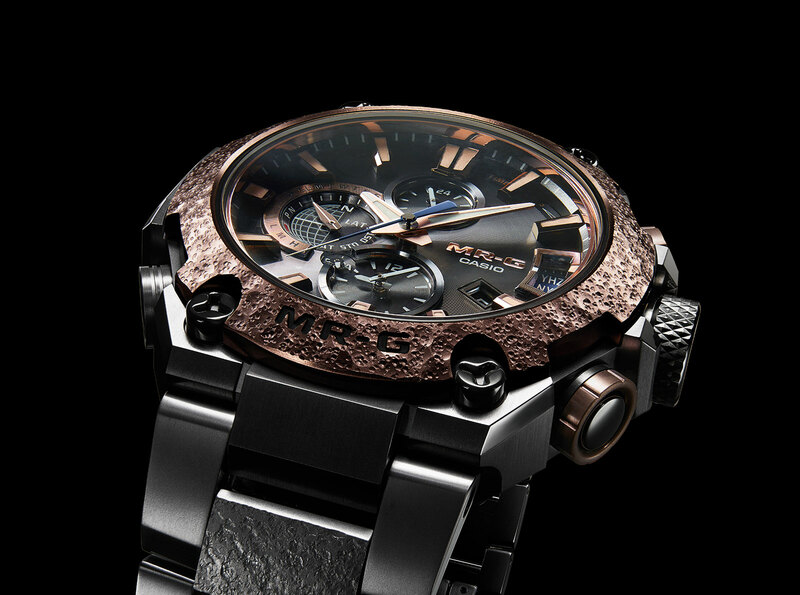 Apart from its texture, the MRG-G2000HA also pays homage to traditional Japanese metalworking with its colour. Inspired by murasaki-gane, an alloy with gold content that acquires a violet patina over time, the titanium case and bracelet were arc ion-plated with a hard, coloured coating to give them a dark grey finish. That is in addition to the initial treatment of the metal, Casio’s own “Deep Hardening” treatment that renders the surface five times harder than ordinary titanium. The result is not only a deep gunmetal colour, but also stronger abrasion resistance. 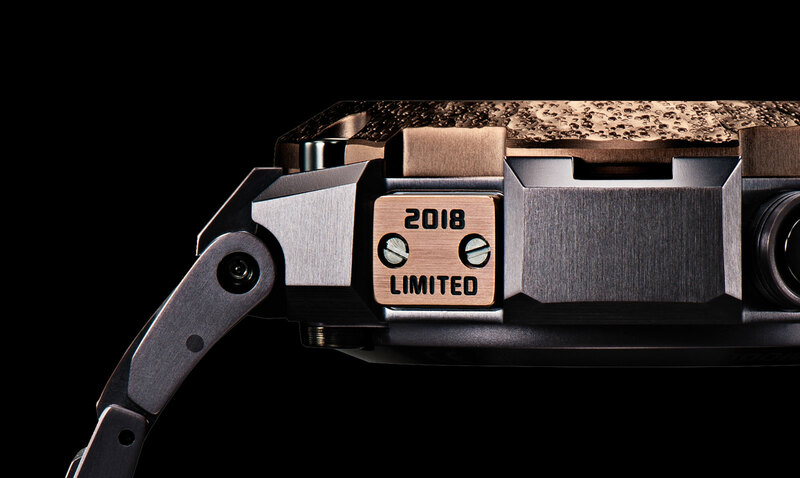 The rich copper colour of the bezel was inspired by suaka, or refined, copper and was also achieved through arc ion plating, creating a striking contrast to the case and bracelet. 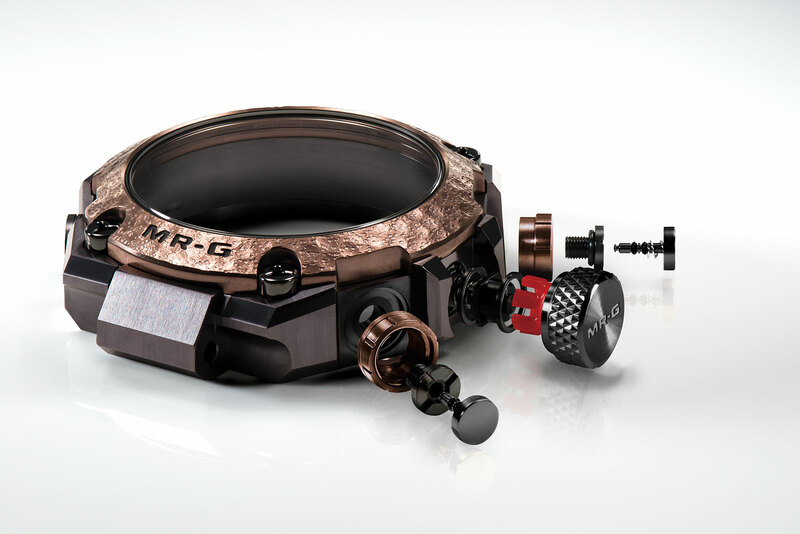 The MRG-G2000HA is a massive 49.8mm in diameter, 16.9mm in height and weighs 152g. On the wrist, it is surprisingly light for its proportions. 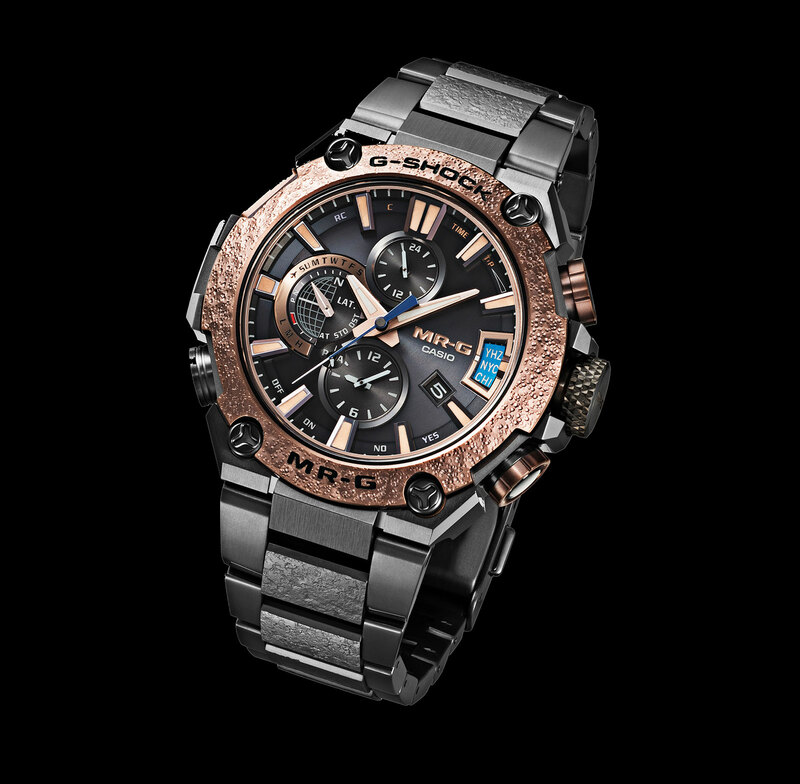 The watch is a “Tough Solar” G-Shock, which means it’s charged via sunlight and powered by Casio’s proprietary Connected Engine 3-Way, which keeps accurate time anywhere in the world via GPS, terrestrial radio waves, or a Bluetooth connection to a paired smartphone. It also boasts a glut of other features including automatic correction of the position of the hands, a chronograph and countdown timer, an alarm function, a calendar correct to 2099, day and date display. And time can be displayed in 39 time zones. 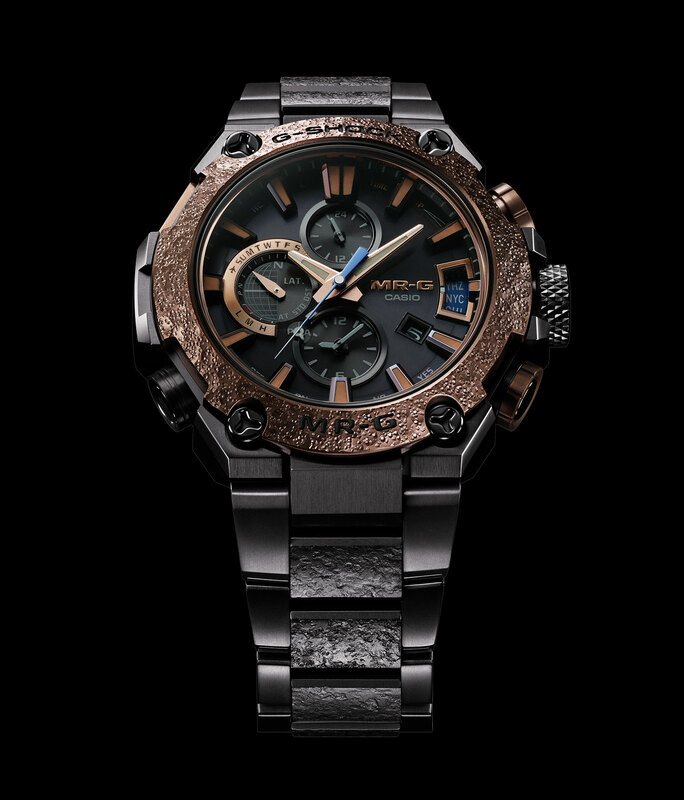 Already available at G-Shock retailers and boutiques, the MRG-G2000HA is produced in a limited edition of 350 pieces and costs US$7400, or S$10,888. In Singapore, each watch can be purchased with premium Japanese sake Mujaku for S$11,888 at Cortina Watch.